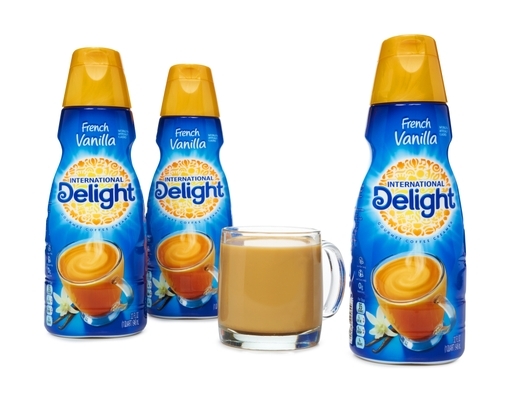 Flavor your world with creamy richness. 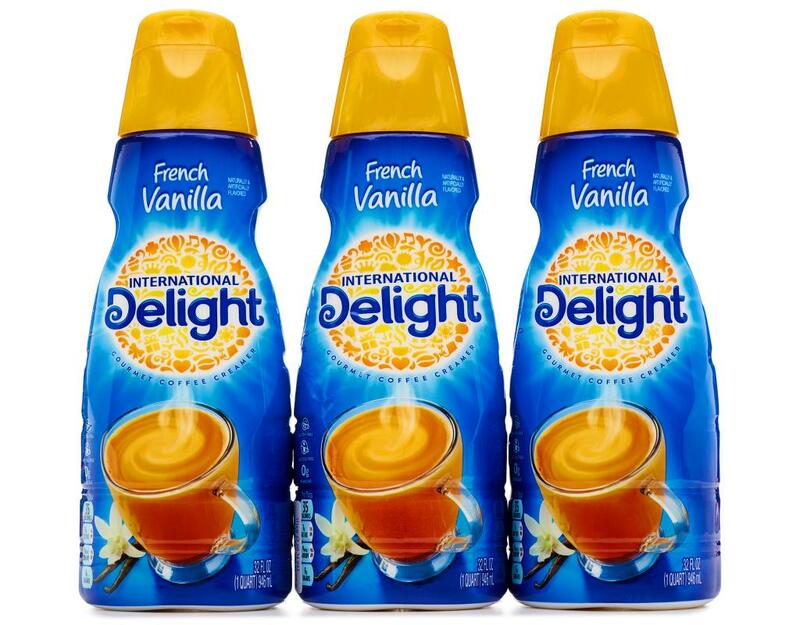 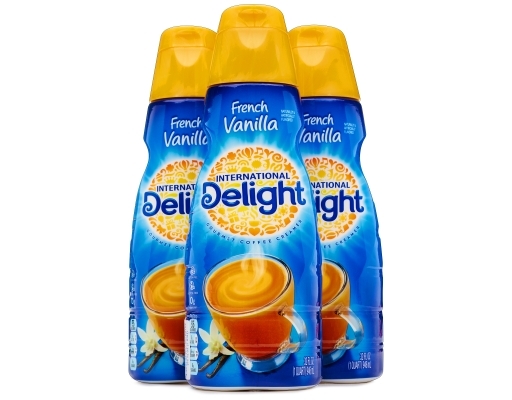 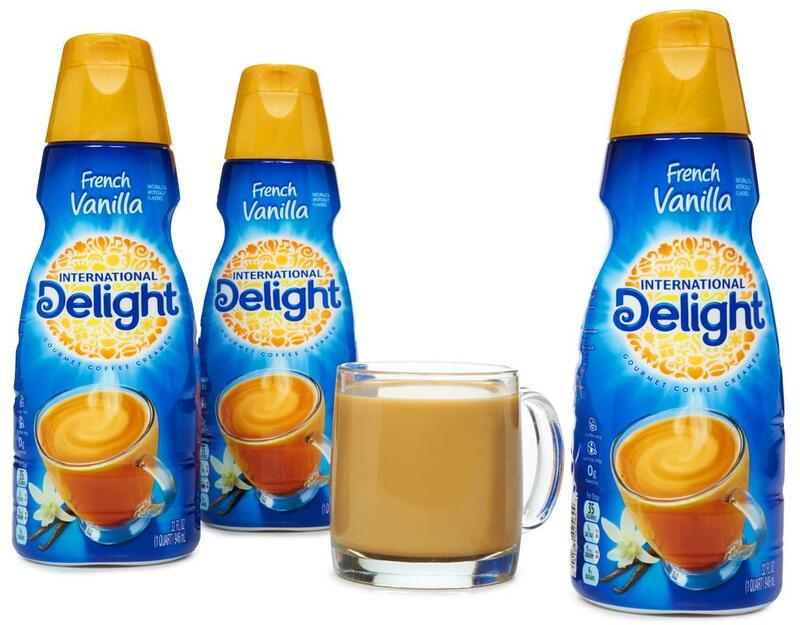 This non-dairy creamer is safe for individuals who are lactose intolerant. 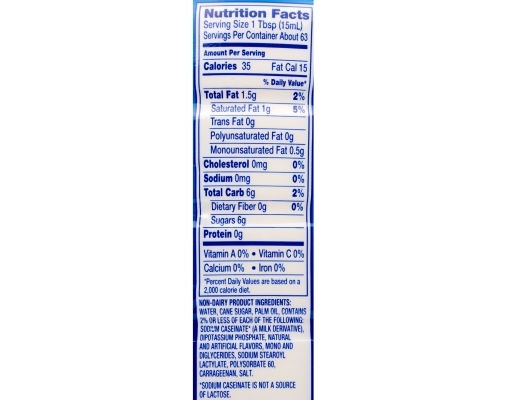 Ingredients: Water, Cane Sugar, Palm Oil, Contains 2% Or Less Of Each Of The Following: Sodium Caseinate* (A Milk Derivative), Dipotassium Phosphate, Natural And Artificial Flavors, Mono And Diglycerides, Sodium Stearoyl Lactylate, Polysorbate 60, Carrageenan, Salt. *Sodium Caseinate Is Not A Source Of Lactose.